A clean and modern offering the Oakley Holston sunglasses brings a new flavour to the classic range of squared designs for men. Midnight Collection. Polished Black with Prizm Black Polarized Lens. Matte Brown Tortoise with Prizm Tungsten Lens. 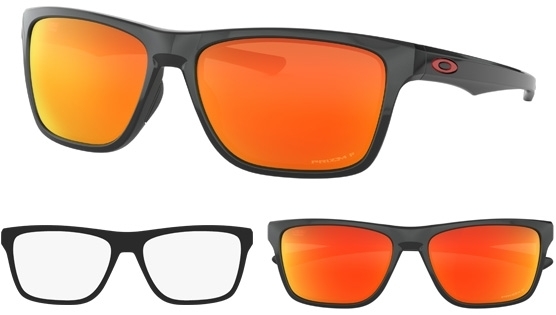 Inspired by a classic look, the Oakley Holston nods to the Jupiter Squared sunglass and provides and clean new view. Offering a slightly smaller frame to it's inspiration the Holston attracts a versatile look, we'd also say it's a great unisex option too. Technology includes lenses that offer HDO® precision gives less distorted vision across the entire field of view for brilliant clarity and a truer visual image so your brain won’t have to work overtime. Which Holston takes your eye then?